NAIROBI, Aug 11 2012 (IPS) - When Kenyan athlete David Lekuta Rudisha simultaneously became the first person ever to break the 1min 41sec mark in the 800m while also becoming the first person to set a world record at this year’s London Olympics on Thursday Aug. 9, he managed another first. He briefly united an ethnically divided nation. Across this East African nation people gathered in homes, shopping malls, restaurants and pubs to witness Rudisha, locally nicknamed “King David”, confirm his status as the champion of the 800m with his winning time of 1min 40.91sec. On the night of Rudisha’s win ethnic rifts melted, and it was not uncommon to see men and women from the Kalenjin and Kikuyu ethnic groups, the two main rival groups in the country’s 2007 post-election violence, dancing together in jubilation. “I hope the sense of unity that was brought about by Rudisha’s win will trickle down to all aspects of our lives,” Samuria Pulley, a 32-year-old resident of Kibera slums in Nairobi, told IPS. Barely five years ago Kenya found itself on the verge of destruction after post-election ethnic violence, triggered by a bungled general election in December 2007, saw neighbour turn against neighbour. Almost 1,200 people were killed and 600,000 displaced from their homes in the ensuing mass violence. “Police officers, who killed at least 405 people during the violence, injured over 500 more, and raped dozens of women and girls, enjoy absolute impunity,” the organisation said in a December 2011 report. Four prominent Kenyans suspected of inciting the nationwide violence are yet to stand trial at the International Criminal Court. The suspects, who face crimes against humanity, include former Higher Education Minister William Ruto, radio presenter Joshua Sang, current Deputy Prime Minister Uhuru Kenyatta, and former civil service boss Francis Muthaura. Their trials will only commence on Apr. 10 and 11, 2013. Ethnic tensions remain raw and are festering across the country. The National Cohesion and Integration Commission, which was formed as part of reconciliation efforts after the 2007 violence to facilitate and promote the peaceful co-existence and integration of Kenyans, warned that violence could flare up again if this remains unchecked. On May 8 the National Security and Intelligence Service informed the government that strong indicators of violence exist as an increase in tribal politics has fuelled ethnic hostilities, as campaigning for the March 2013 general election enters high gear. But when Rudisha did what no one else has been able to do at the games, including the 100m and 200m gold medallist Usain Bolt, by setting a new world record – the country erupted in celebration. Prior to Rudisha’s win, Kenyans were disappointed that their legendary middle-distance runners failed to win gold. Ezekiel Kemboi had been the country’s only gold medalist after winning the 3,000m steeplechase. But Kemboi’s victory did not automatically inspire unity among Kenyans the way Rudisha’s did, as he faces criminal charges. Kemboi, who won Kenya’s first gold medal at the games, competed after being granted bail following his arrest for allegedly stabbing a woman on Jun. 27 in Eldoret, in Kenya’s Rift Valley province. The woman claimed Kemboi stabbed her for allegedly refusing his sexual advances after a drinking bout. Kemboi denied the allegations. “It is defeatist for an athlete to hope to inspire unity among Kenyans while his actions outside of the field are contrary to that,” 23-year-old Kenya Polytechnic University College student Wambui Kuria told IPS of Kemboi’s victory. So it is no wonder that Rudisha’s run, which pushed not only him, but also the rest of the field to personal bests, inspired such elation and unity. “I believe this unity is not false and I hope it persists beyond the Olympics,” Faith Kyomukama, a 24-year-old student at Daystar University, told IPS. “Why would we discriminate against one another on the basis of tribe? We have shown that our unity can override these small differences,” added Kyomukama. And social experts are hopeful that sport can be used to permanently bridge ethnic divisions in the country. Dr. Gidraph Wairire, a sociology lecturer at the University of Nairobi, told IPS that sport could help Kenya permanently bridge ethnic divisions. He said that sport produced, for both those participating and watching, a special “feel-good chemical”, which triggered a unifying bond among citizens. “Once you see someone winning … at that point you can actually forget your differences as individuals in ethnic communities,” he said. “In the case of Kenyan athletes, if this power of sport can be prioritised and tapped, Kenya would be able to bridge these ethnic divisions which in any case are equally triggered by minor differences,” he said. He added that these divisions were only superficial and not inherently permanent. According to Dr. Joyce Nyairo, the resident representative of the Ford Foundation and an expert on Kenyan popular culture, Kenya can use sport to rewrite its national narrative and forge an even stronger national unity with great effectiveness. Nyairo, who has written about ethnicity amongst the country’s 42 ethnic groups, said it was a pity that Kenya’s government failed to build policies around nation-building projects that involved sport. She said that the impact sport had in inspiring unity surpassed any other reconciliation effort, and added that Rudisha’s victory had done just that. “Our sense of who we are, of what we have in common with one another is marshalled and defended on the sports field just as it might be written in constitutions and debated in parliaments,” she told IPS. Nyairo said that sport could help bridge existing ethnic divides in unimaginable ways. “If we shield ourselves under our athletes’ stories, embrace them and learn from them, we will surely see the seamless contours that join Kenya over and above the rifts that threaten our appreciation of a common past and a common destiny,” she said. It is a common destiny that many of the country’s athletes had hoped to inspire by participating in the Olympics. “I am hoping that our victories will inspire long-lived unity beyond the ones Kenyans show when they cheer us,” the country’s Olympic women’s 800m silver medallist, Janeth Jepkosgei, told IPS prior to her departure to London. Jepkosgei said that the post-election violence marked one of the saddest points in her life and added that Kenyans should realise that national unity was more important than ethnic pride. “Some of my friends with whom I train are Cuban, American and also Ethiopian. I don’t see why my fellow Kenyans can’t de-tribalise their mindsets too and see that we are one,” she said. Jepkosgei has qualified for the women’s 800m final on Saturday, Aug. 11. 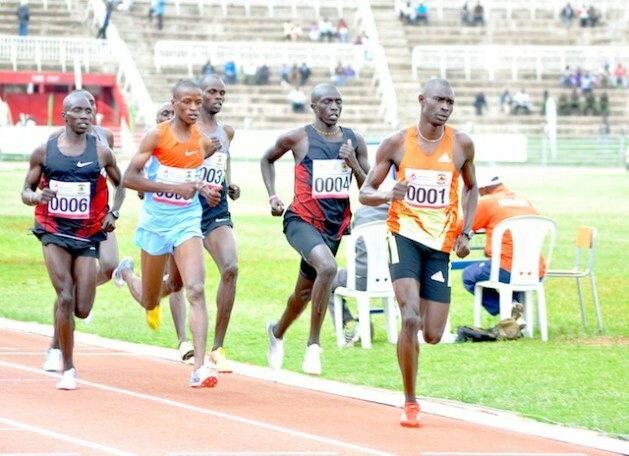 While the Kenyan athletics’ team head coach Julius Kirwa has been under fire for his team’s performance, he will be satisfied with having achieved one of his goals: “We want to see these games unite Kenyans beyond the track. That’s our wish,” he told IPS prior to departing for the games. And now many Kenyans hope that the sense of unity shown on an August night can outlive a historical Olympic moment.